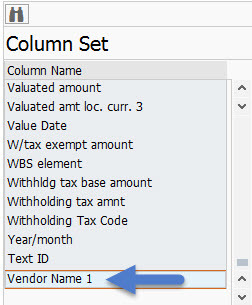 A common request from users of FBL1N (Vendor Line Items) is to include additional columns of data in the “Column Set” that can be selected when creating or maintaining a line layout variant. These requests come when neither the base list nor the special fields list have the data needed; i.e., user needs data from another table. As you read this, keep in mind that RFPOSX (Line Item Data) is the base structure for line items in transactions FBL1N, FBL3N, and FBL5N. 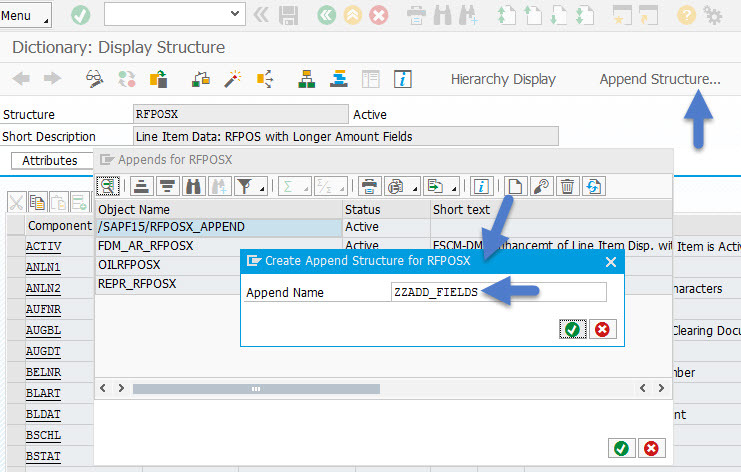 Between RFPOSX and the table entries in T021S (Line Layout Variant Special Fields), structure RFPOSXEXT is generated. RFPOSXEXT is used for displaying line items in these transactions. * Important FBL3N note: Most companies are using the New GL. In that case, GL account line item display would be done via transaction FAGLL03, not FBL3N. Click here to read documentation on adding fields to FAGLL03. 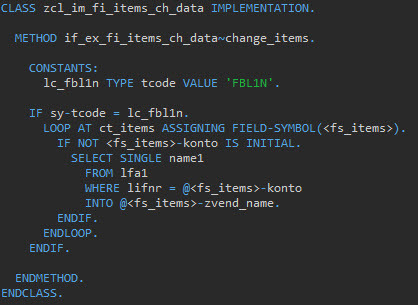 The below example will demonstrate adding Vendor Name to the Layout Column Set, and then populating it with data from LFA1 (Vendor Master) via a BAdI when Tcode FBL1N is used. Add Component(s). In this example, just one… ZVEND_NAME. 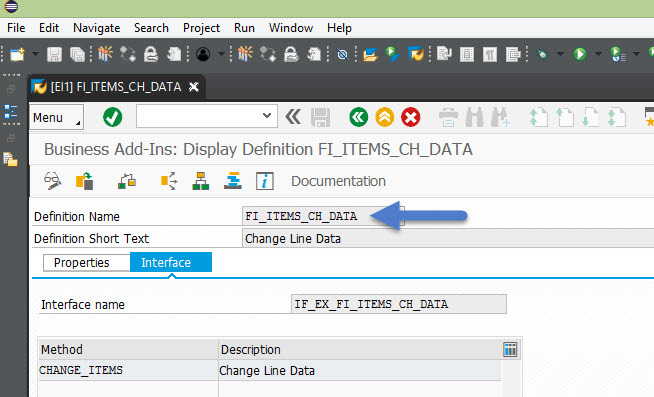 Once Step 2 is complete, “Vendor Name 1” will now be visible in the layout Column Set; however, even if added to the screen, no data will appear. 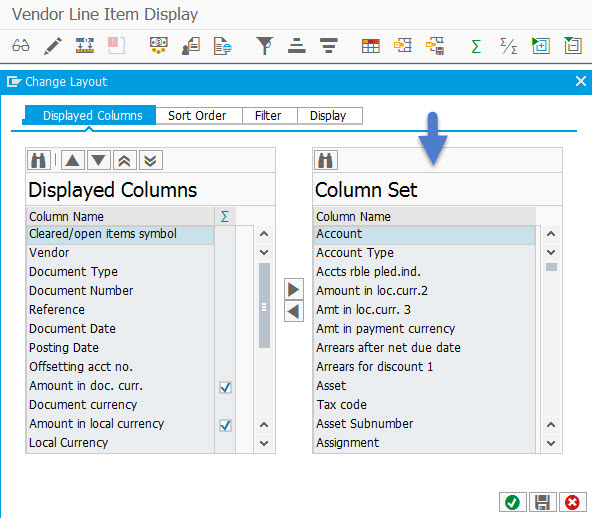 Steps 3 and 4 are required to populate the ZVEND_NAME field with data. 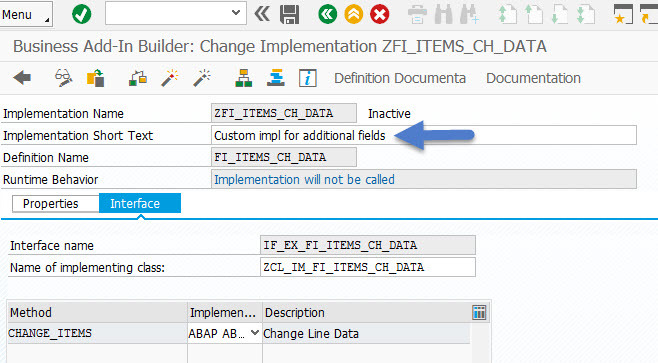 If fields from tables other than what can be provided by the Special Fields table (T021S) are needed in FBL1N, then the above steps are simpler and easier than a BTE (in my opinion). As mentioned above, these steps can also be carried out for FBL5N. The steps can also be used for FBL3N if you are not yet using the New GL; otherwise, follow the link above for changing FAGLL03. Let me know if you liked this blog, and please reply with questions and comments. Thank you. First of all, thank you for this article. It’s pretty clear and easy to implement. It’s all working properly except when running fbl1n in the background. In this scenario the vendor name field won’t get populated. Would you have any advice that would point me in the right direction to sort this out?